Line-Set/Check allows the laser to shoot the beam upwards to align to the next manhole at the first day from a short, deep trench as the beam will move up to 100% in seconds. 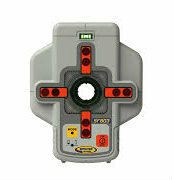 Line scan allows the beam to sweep quickly (left and right) and can be stopped on the target using the remote control. Line Alert is automatically activated once the grade and alignment are set –warning the user that the set-up has been disturbed, avoiding costly errors and re-work. In addition, the DG813 comes with a optional smart Spot Finder SF803 which increases even further the productivity. The laser can align automatically to the center of the Spot Finder, ideal for first day set-up, and can also calculate the grade – great for checking previous work on a second day set-up! The length of the DG813 has been reduced to make it easier to set up the lasers into tight inverts in the manhole. 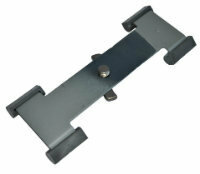 The DG813 has a grade range from -12% to +40% and is fully self-leveling over the entire grade range. Even the cross axis is fully compensated - providing quick set up and peace of mind that the laser will be level without having to adjust at the bottom of the invert.